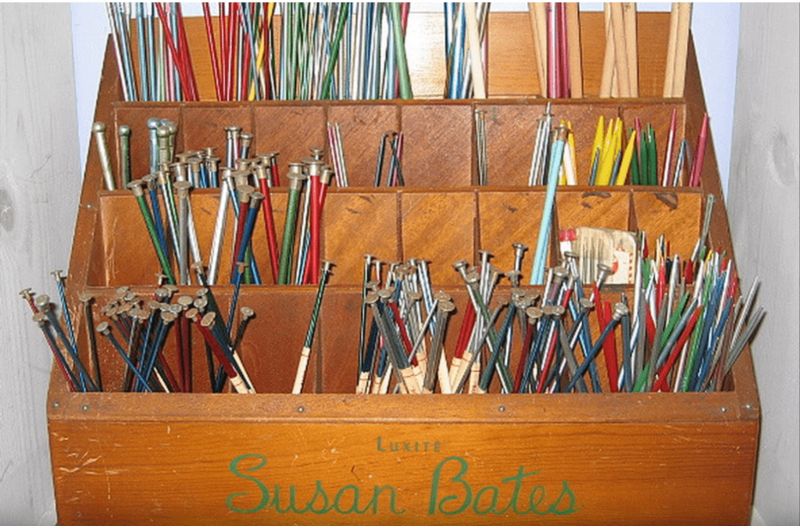 Today we are looking at different ways of storing and organizing knitting needles. I already was familiar with some needle storage ideas, and last week I did a little poll on Instagram asking you guys how you store your needles and there were some really great ideas there. And I also spent a lot of time looking for other ideas of storage methods online. So in all those ways I came up with a list that is maybe not comprehensive, but includes probably something for everyone, and that’s what I wanna share with you today. The biggest challenge for me to do this review was structuring how I was gonna present all this information to you, so I’ve organized my organization ideas into several categories and subcategories. The main categories are gonna be driven by the types of needles, and let’s start with straight needles because I found those are a little more simple to store. 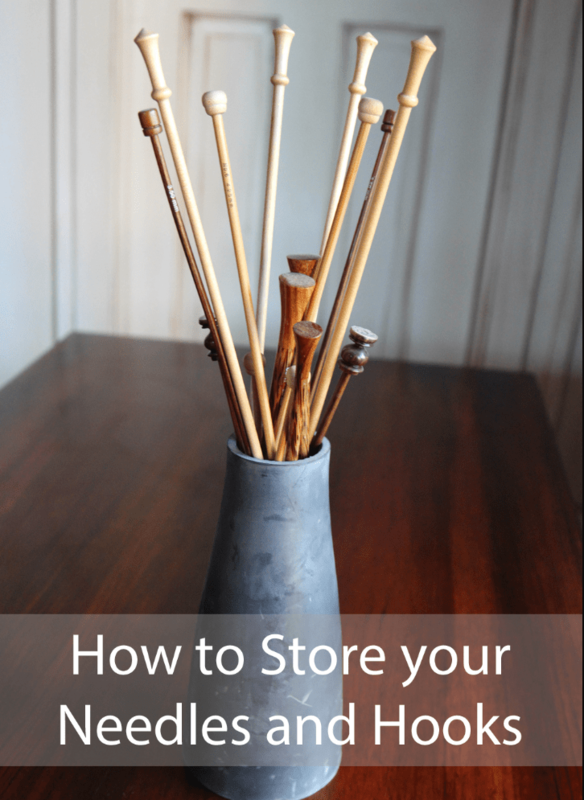 One of the most common storage solutions for straight needles is to just put them in a pretty vase or cup and display them like a bouquet of flowers. A lot of people in my poll said they don’t personally use straight needles to knit but they use them to decorate their knitting space, and that’s what I do as well. With these, you can easily include your antique needles and the ones that were handed down from your mom or grandmother and you can use all kinds of containers to display them in. 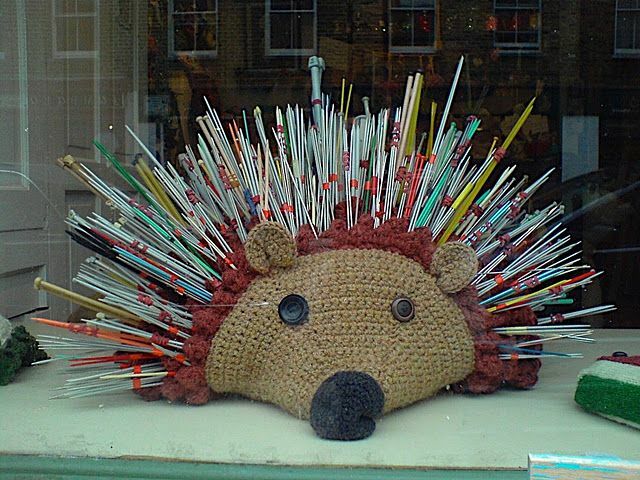 Another fun way I saw you can display your straight needles is to make one of these cute little hedgehogs and then stick needles into it, which would represent its quills. I think this is adorable. I haven’t been able to find the pattern to make it, but there are some similar ones on Ravelry that are smaller. If you use one of those patterns you would probably have to alter it to make it bigger or use thicker yarn and larger needles or something like that. I saw some that were knit and others that were crocheted. But anyway, it is a cute idea. Here are a couple of other display ideas for your straight needles. 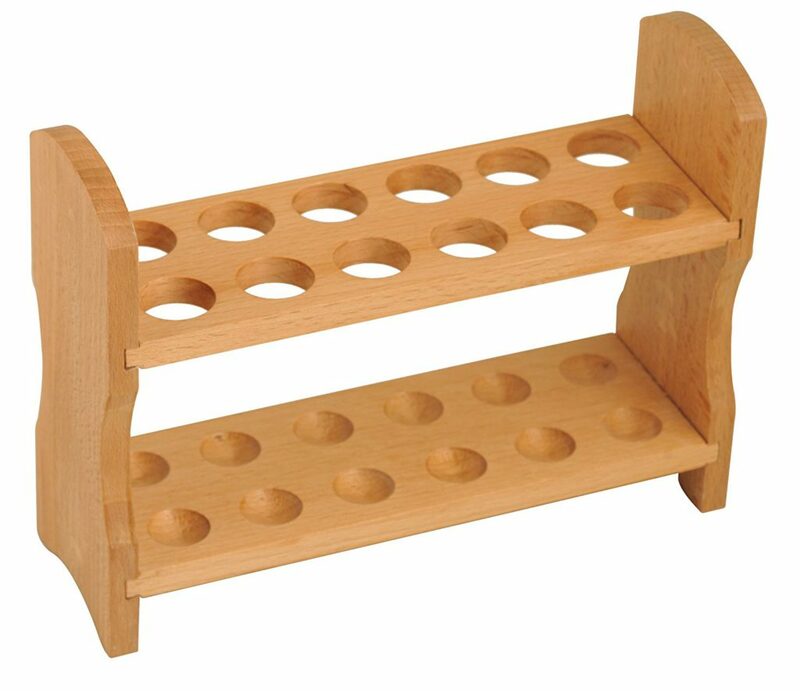 One is to use a test tube holder and insert the needles into the holes. This one that I found is wooden and as you can see, it would work for not only straight needles but also for DPNs and crochet hooks. You can either store the needles inside the test tubes or by themselves without the test tubes. 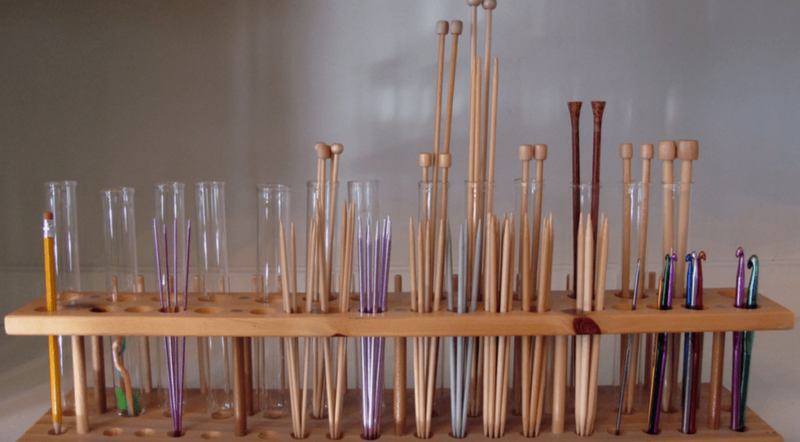 I like the look of the wood stand and the scientific appeal of using a test tube holder for needle storage. 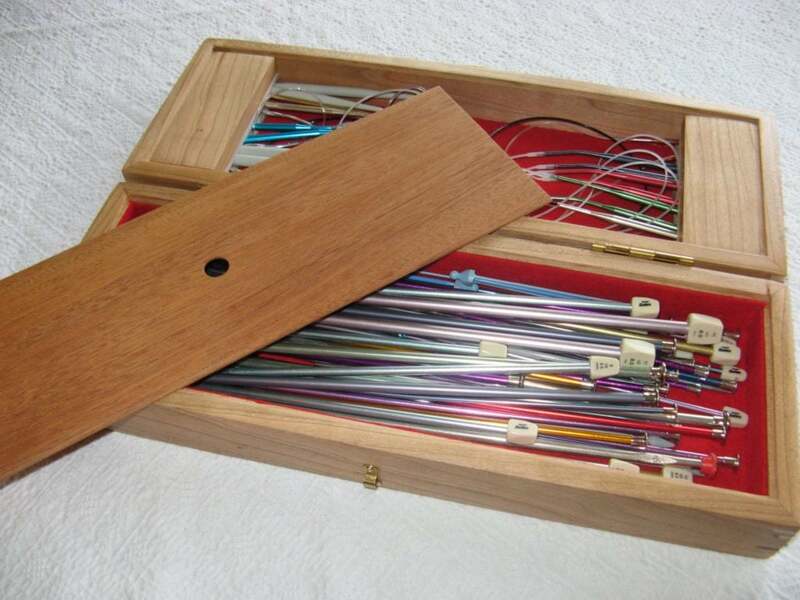 Another similar design is to use a partition box like this one to store your straight needles. This one happens to be a vintage wooden knitting needle display box but you could use similar boxes made out of clear acrylic, or wood, or a partition basket or anything else that you might have like this. Sticking with the wood theme, but if you don’t want your straight needles sitting out in the open, maybe you want to put them inside a cabinet or something, well in order to corral everything, you could get one of these nice, wooden needle boxes. I found this handmade one on Etsy for $120 dollars. It has two sides, one for your straight needles and the other side for your fixed circular needles. Each side is lined with felt, which gives it a luxurious look and there’s a wood panel that fits on top of the straight needle side to hold them in place so they stay there when you close the box. 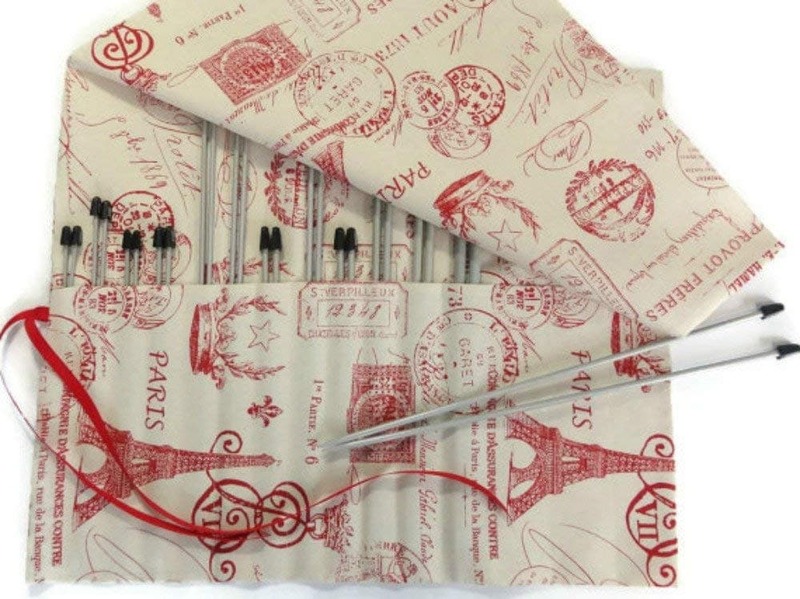 Another way you could store your straight needles is in a fabric case that rolls up. Now for these you could sew your own there are a lot of patterns available for purchase if you look online, or you can buy them already made, and there are many to choose from on websites like Etsy. I found this one on Amazon and it holds 10 sets of straight needles. 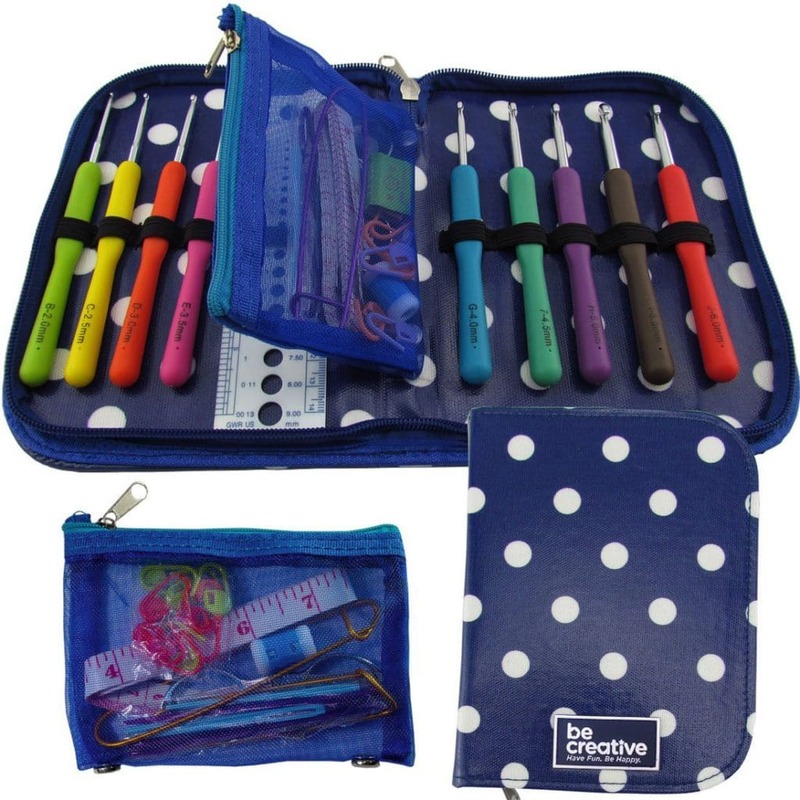 Here’s a similar one I found for crochet hooks. The nice thing about these roll-up cases is that they’re compact and they don’t take up much space, and they’re made out of pretty fabric. And lastly, for straight needles, if you’re looking for a way to organize your straight needles that’s portable, here’s a DIY idea. 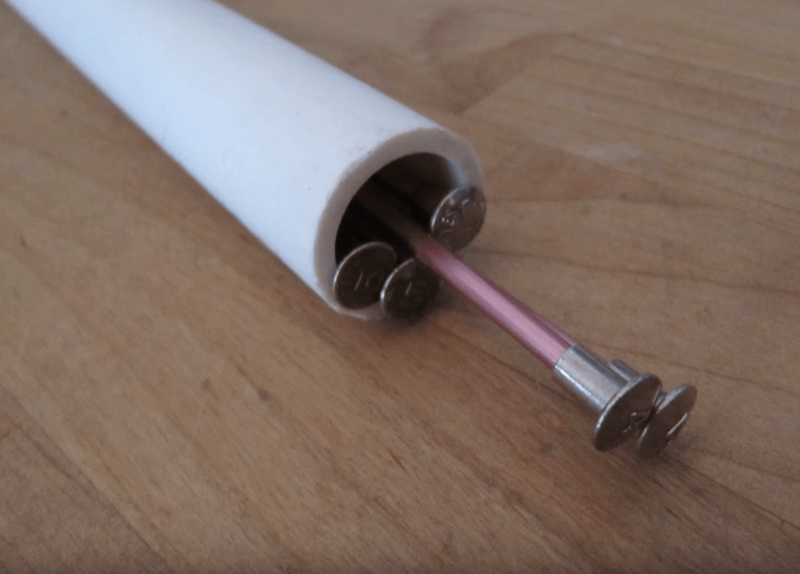 You can make your own needle cases out of PVC pipe. They are cut to the length that fits your particular needles and depending on how large the pipe diameter is, you could fit different numbers of needles in them, and these are something you could throw into your knitting bag and easily take your needles along with you. So those were some ideas for organizing your straight needles.